I know it has been a while but I have exciting news that I couldn’t wait to share. I am thrilled to announce that I am part of an inspirational campaign launching today by national retailer, The Limited. 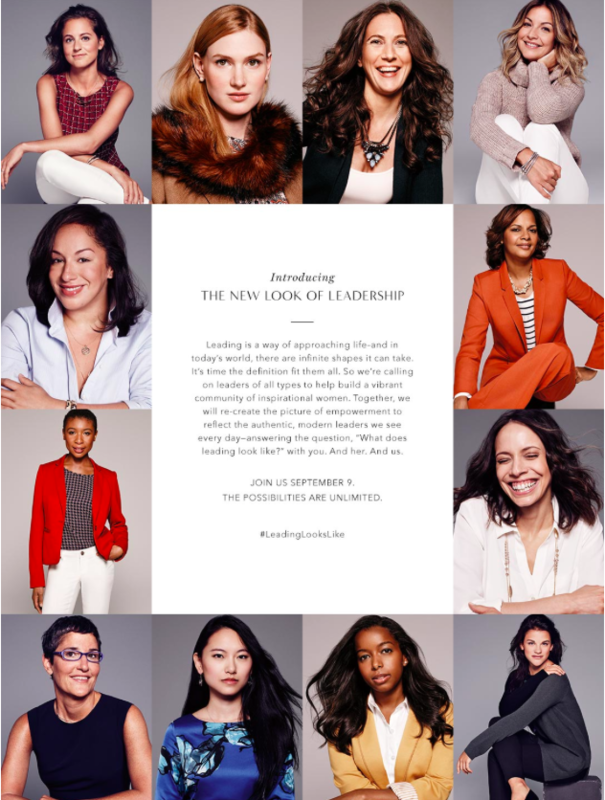 The “New Look of Leadership” embraces female empowerment and celebrates the many faces of leadership seen today, honoring women who stand out, speak up and push boundaries in their everyday lives. Earlier this year The Limited set out on a search to find women who they felt embodied a more progressive style of leadership. The result is 60 women who are being featured from across different professions who inspire women to live an unLIMITED life. I am humbled to have been selected by The Limited as a fearless leader, and honored to be among 59 women who I find truly inspiring. But this isn’t only about me or the other 59 women. This is about ALL the women demonstrating leadership every day in so many ways. Please join me in representing the modern definition of leadership by snapping a picture of yourself showing how you are leading ever day in every way. Post it on social media with the hashtag #LeadingLooksLike and join in on the conversation that I and so many other women are participating in by sharing your story. To learn more about the “New Look of Leadership” visit The Limited’s website. The stories of the 60 women will be part of a rolling launch starting now and continuing throughout the fall. I will be featured this coming November along with 18 other women. You can also read more about the campaign on the Huffington Post and Elle.com. I love that The Limited is using their voice to send such a powerful message. They are showing that leadership is not a result of a fancy title or having a team of people that work for you. True leaders are passionate, stand up for what they believe in, make a positive contribution in the world, inspire others to be their best selves and lead with authenticity. That can be anyone. And that can be you. Leading is a way of approaching life – and in today’s world, there are infinite shapes it can take. It’s time the definition fit them all. So we’re calling on leaders of all types to help build a vibrant community of inspirational women. Together, we will recreate the picture of empowerment to reflect the authentic, modern leaders we see every day — answering the question, “What does leading look like?” with you. And her. And us. Please help me get the message out there. Share this with the modern woman redefining leadership and let’s show the world what #LeadingLooksLike. And don’t forget to check me out online, in stores or in a promo-mailer coming to your home in November! Well, it’s time to share the big news I alluded to in last Thursday’s post. I was hoping to get ahead of this and post an update in the morning but with all the work that went into the execution of this HUGE event, I missed that window. 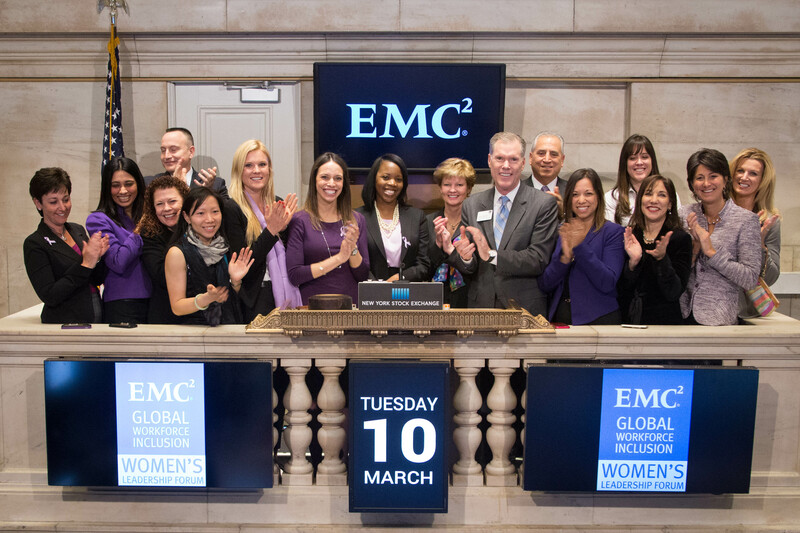 Today, the women of EMC celebrated International Women’s Day at the New York Stock Exchange. We went down to Wall Street and painted the stock exchange purple! 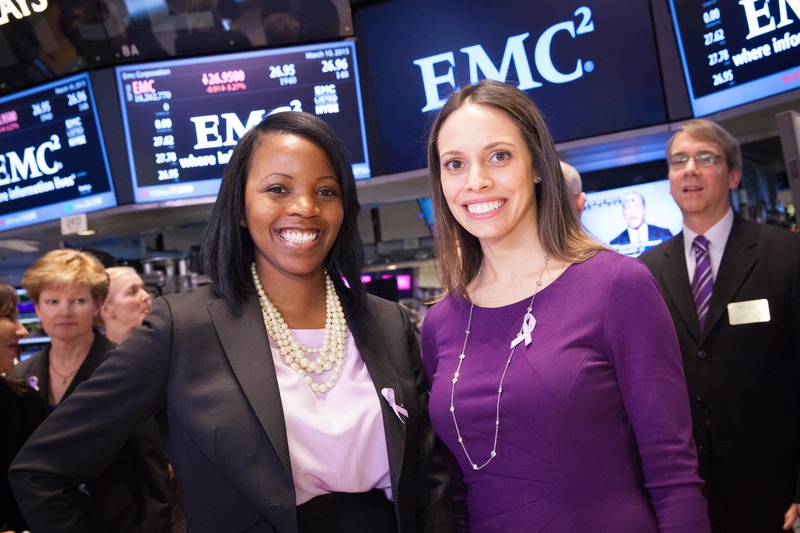 As Presidents of EMC’s Women’s Leadership Forum in NYC, my colleague Madinah McDonald and I rang the closing bell. For us, this was our moment to showcase our Company’s commitment around diversity & inclusion, but more specifically women in the workplace. I am so proud to play a key role in EMC’s efforts. Ringing the bell was a once-in-a-lifetime experience! And the NYSE was an incredible host. You think they’ll let me do it again…like next week? Presidents on the Trading Floor: Madinah McDonald & I!! 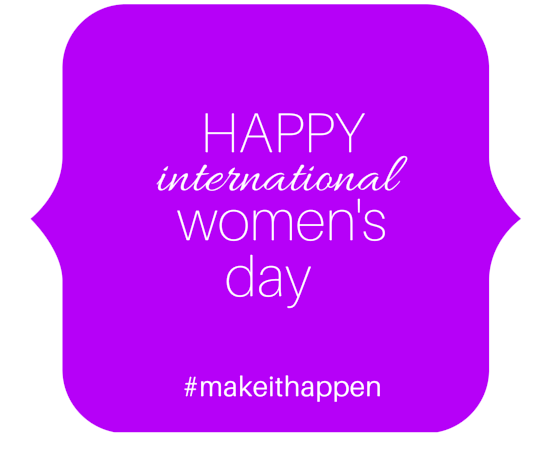 Let’s #makeithappen. I’m ready to ring the bell!! On March 8th during International Women’s Day (IWD), women around the world are celebrated for our economic, political, and social achievements. Although we continue to face political and social struggles, on this day people around the world reflect and discuss these issues in a more hopeful manner. But every day needs to be IWD – one day out of 365 is not enough to make the significant changes required for gender equality. That said, this is a day to lift each other up and recognize that being a woman is a gift. I am so proud and feel extremely lucky to be a woman. And I cherish those things that make me different than men. I bonded with my children 9 months before my husband did. I feel a spectrum of emotions and at times express it outwardly, which makes me more empathetic (and we all know EI is the new IQ). Speaking of IQ, women have a higher IQ than men – read the research. All women know we tend to be better communicators – we can talk anything out before it escalates to an argument. If only our male counterparts had that same gift. And no one is better at the juggling act than us – career, kids, husband, life. The list is endless. 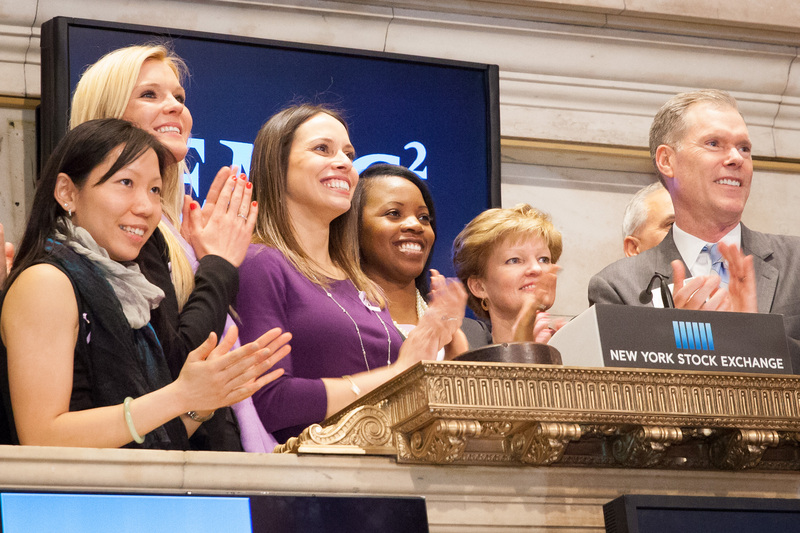 In celebration of International Women’s Day, EMC’s Women’s Leadership Forum will be at the New York Stock Exchange on Tuesday, ringing the closing bell. I am proud to be President of this organization and I, along with our board and our members are painting the stock exchange purple. I can’t wait to share more with you in the coming days! To all the ladies out there, Happy International Women’s Day. You are absolutely wonderful. Make sure you are celebrated today and every day because you deserve it. 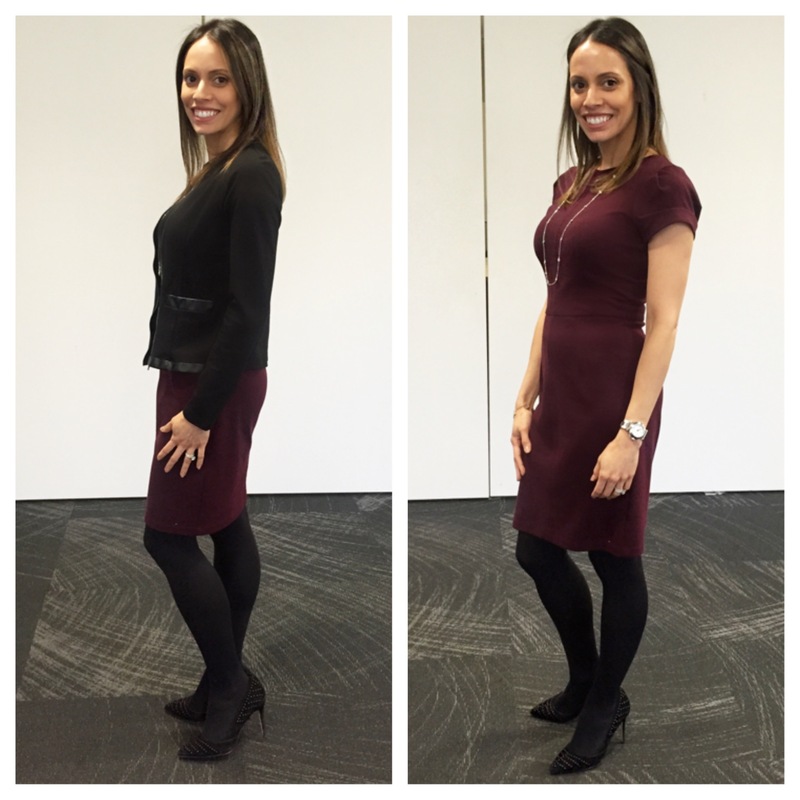 Last week was my first full week of the Beyond the Suit Shop Your Closet challenge. I’ve been so good. Despite all the temptation around me (I work in a major shopping area) I stayed focused and didn’t shop. And, most importantly, I spent time in my closet getting reacquainted to all the clothes I own. I dug deep and found some treasures! Clothes I haven’t worn in well over a year and, I’m ashamed to admit this, but clothes with tags still on them. 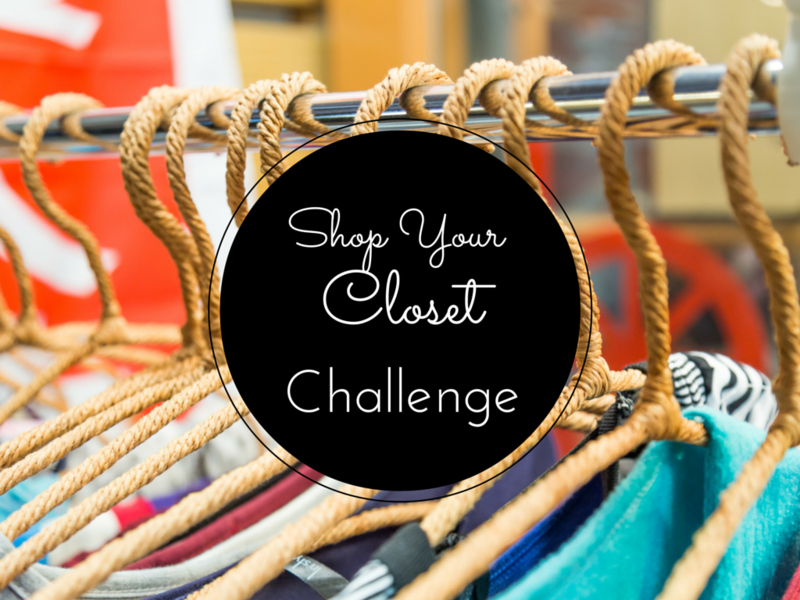 But this challenge is breathing new life into my closet. I now realized sometimes we can all get in a rut with our work attire. 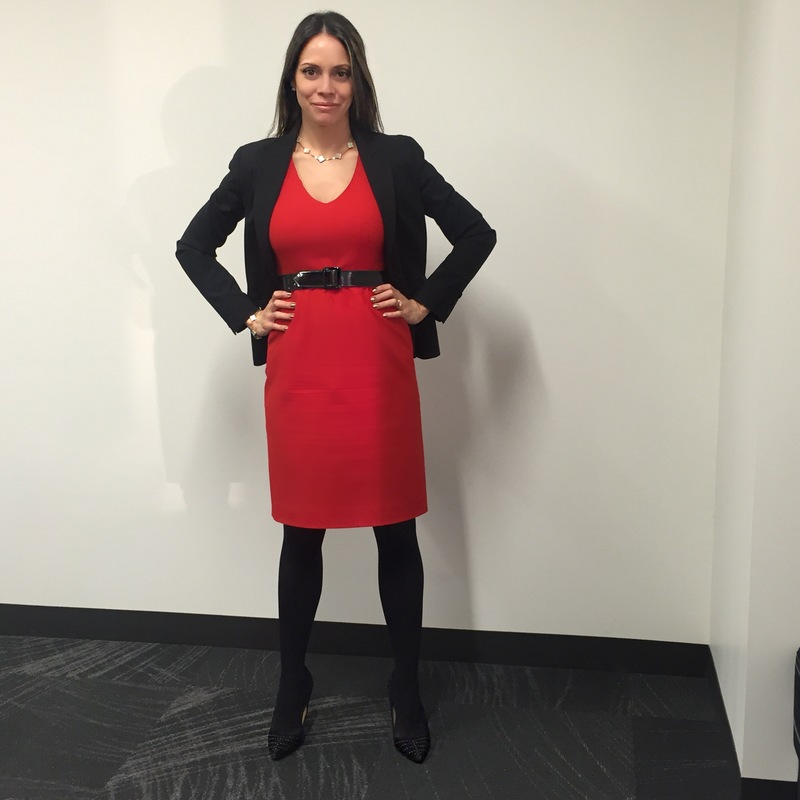 Working in a corporate environment can stifle creativity so we wear the same clothes, the same way, all the time. This is why I am really pushing myself to look at my clothes through a new lens and come up with new ways to wear them. Here’s a tip: When you just feel like you have no other way to wear a certain article of clothing, open up your Pinterest app and do a search for that piece along with the word “work”. Instant inspiration! So here some of my my looks for the past two week. 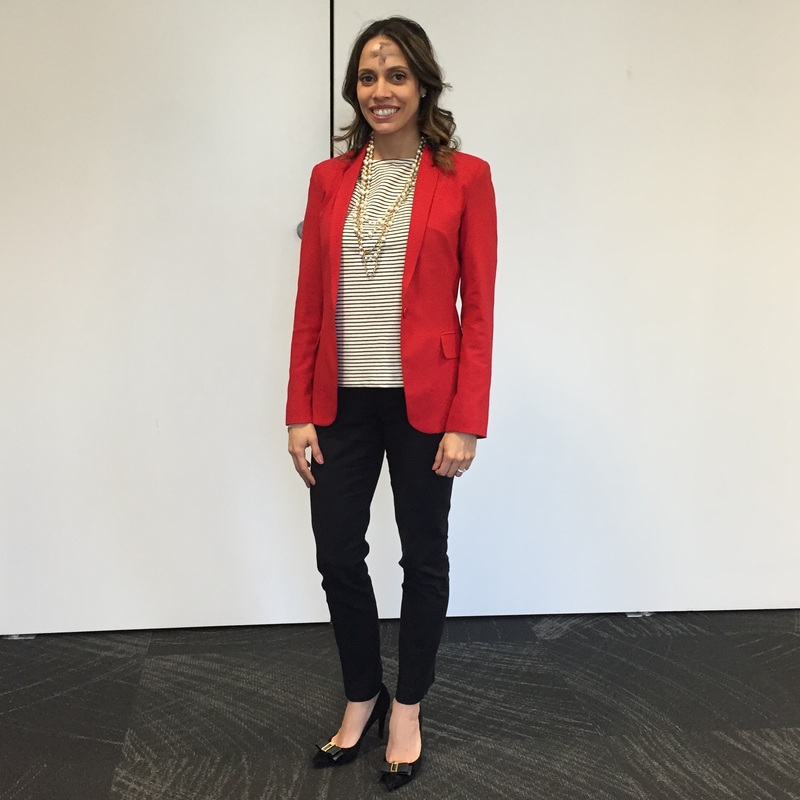 If you are doing this style challenge with me, don’t forget to tag your photos on social media with #BTSShopYourCloset. I’m keeping an eye out for your creations. And check back in a few days for major news! 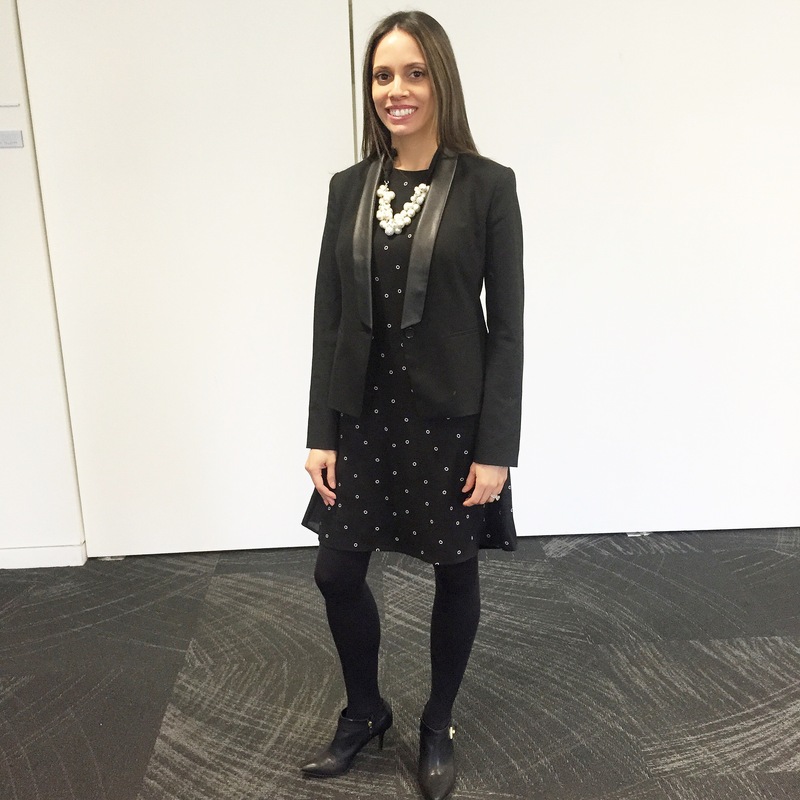 Top: Target, Skirt: Escada, Shoes: Isaac Mizrahi, Necklace: I can’t remember but i bought it on RueLaLa. Everything I wear must already be in my closet. For bonus points (ok, I’m not keeping score but for an extra challenge) I must try to wear as many things in my closet as possible. That means I can’t wear a go-to LBD when I feel I have nothing to wear. To ensure this happens, I have turned all the hangers backwards and as I wear things I’ll put them back normally. On top of all that, I must look polished and professional for work. No slacking during this challenge. 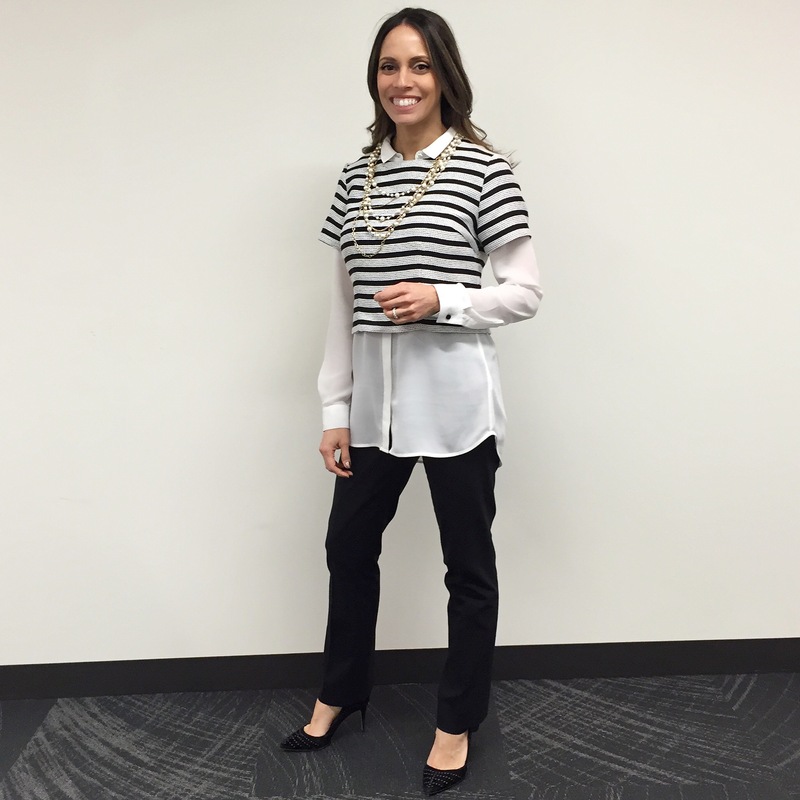 Every week I’ll report on my week and share my latest outfits with you. I hope to inspire you to free yourself of saying “I have nothing to wear” and think differently about the clothes you already own. Why don’t you join me in this challenge? Things are always easier if you do them with friends. If you are on Twitter or Instagram, tag your photos with #BTSShopYourCloset. I would love to see what you put together. And if you aren’t following me on social media, this would be a great time to start. I’ll be posting pics daily on Instagram. Wish me luck!